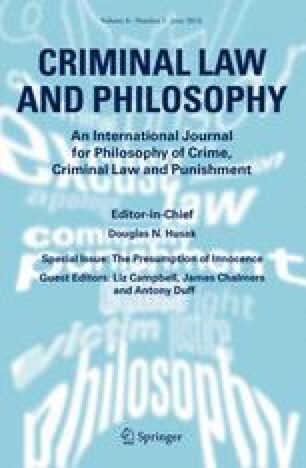 The article analyses the components of the presumption of innocence and tries to clarify some of the conceptual and logical difficulties surrounding the notion of ‘innocence’ and the structure of legal presumptions. It is argued that all conceivable literal interpretations of the maxim make little or no sense, and that the presumptions form is, as such, devoid of original content: presumptions do not explain nor justify anything but are auxiliary norms which refer to the legal consequences spelled out in other norms. Therefore, the presumption of innocence can be used to express any kind of requirement and standard for the criminal process and the treatment of suspect citizens only in a tautological, albeit rhetorically forceful, way. This instrumental use of the presumption of innocence is theoretically without merit but can be practically beneficial as long as there is no developed system of fundamental rights and protections of individual freedoms in a given legal order. Finally, a functional understanding of the presumption of innocence is proposed which gives it an original, though limited field of application as a guarantee of the procedure itself, in particular of the openness of the outcome. This paper was prepared for the workshop on the presumption of innocence held at the Robina Institute of Criminal Law and Criminal Justice at the University of Minnesota Law School in May 2012.